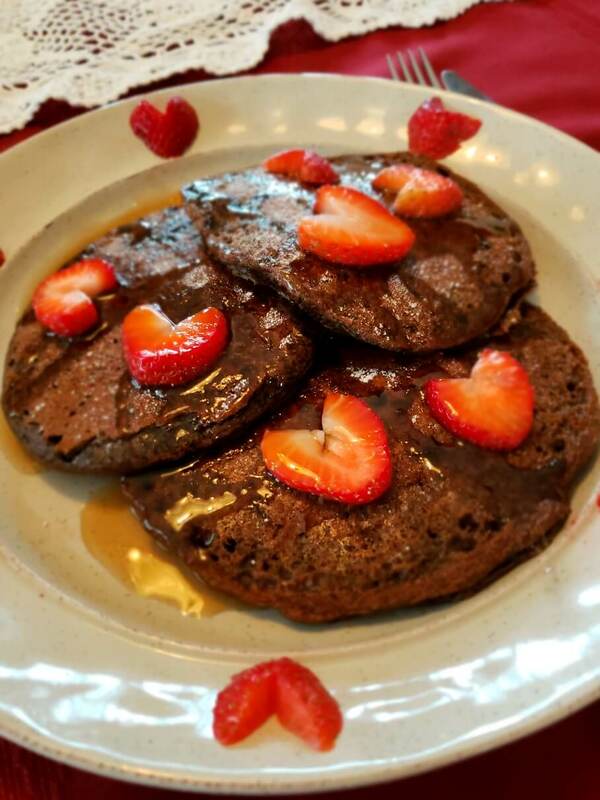 I know what you're thinking... black beans... in pancakes...? OH YEAH. I recently discovered black bean flour at the local bulk barn. This versatile (gluten-free) flour can replace almost any flour. It has a very light texture to it, making it perfect for fluffy pancakes. 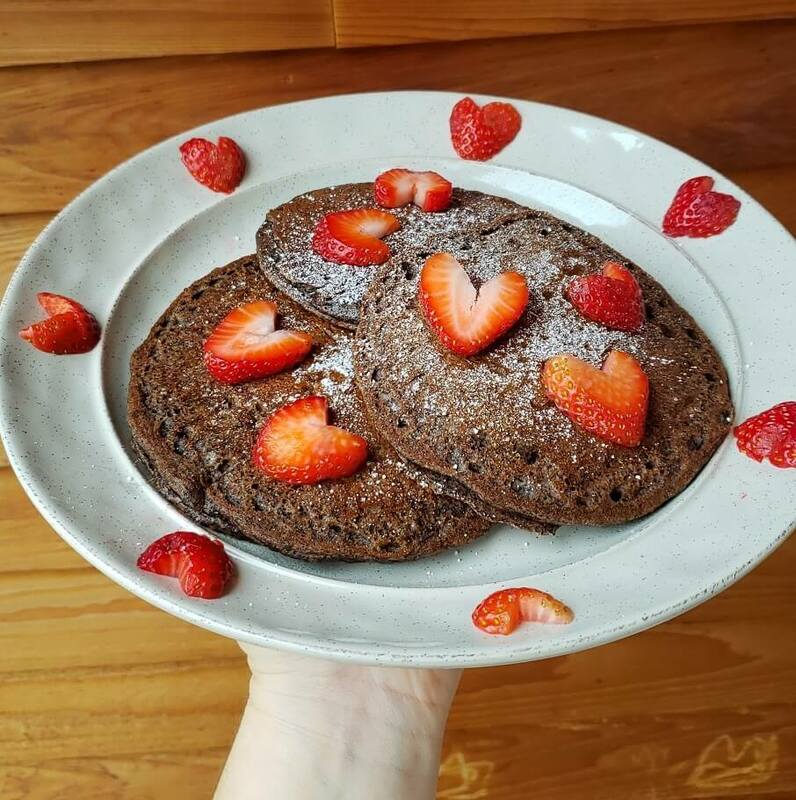 These pancakes also pack a whopping 12 grams of protein per serving, while still tasting like a delicious guilt-free brownie! In a large mixing bowl, combine flour, sugar, baking powder, cocoa, and salt. In another bowl, combine non-dairy milk with apple cider vinegar to form “butter-milk”. Add vanilla and Eggcitables egg… whisk briskly and then add to dry mix. Whisk the dry and wet ingredients together until they form a typical pancake consistency. Add a tbsp of soy milk if needed. Heat a tsp (or two) of vegan butter over medium heat in a large frying pan. Scoop pancake batter into the pan and cook until bubbles form in the mixture (usually 2-3 minutes per side). Top with berries, powder sugar, and maple syrup… Enjoy!